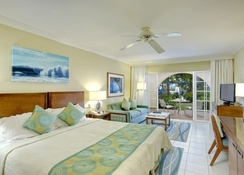 Turtle Beach by Elegant Hotels is an all inclusive accommodation located in the heart of Oistins, Barbados. This fantastic resort is a popular choice for family holidays, with an abundance of activities and entertainment on hand – so you can do as much or as little as you wish. 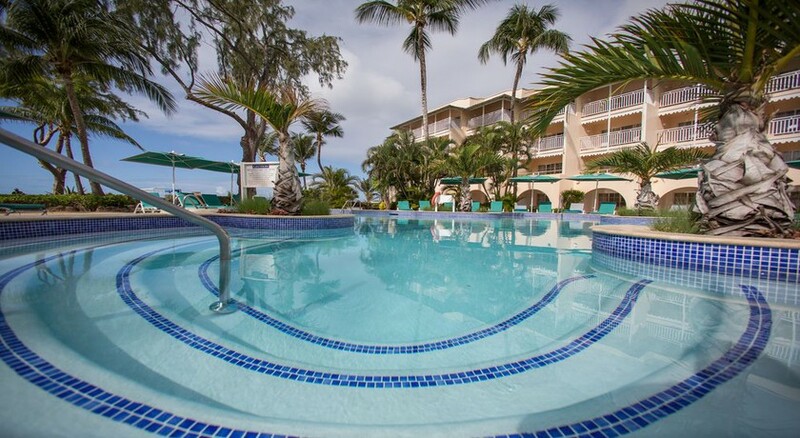 The beachfront resort offers a pristine stretch of sand and plenty of watersports to make a splash with, plus there are two swimming pools, a whirlpool and a kids’ pool to enjoy on-site. The hotel’s event calendar offers activities available every day, so guests can book Calypso dance lessons, traditional cooking classes and embark on exotic island tours. For sports enthusiasts, Turtle Beach Barbados offers daily rounds of golf at the nearby PGA Sanctioned Barbados Golf Club included in your stay – a scenic way to practice your swing overlooking the southern coast. The rooms are divided into 161 contemporary Junior and One-Bedroom Suites which feature guest balconies overlooking the landscaped gardens or ocean. Plus, the dining scene is equally inviting with five fantastic restaurants and bars to indulge in. 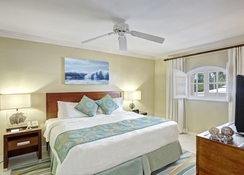 Turtle Beach by Elegant Hotels All Suites All Inclusive is located in the heart of Oistins, Barbados, just a couple of minutes’ walk from the nearest white-sand beach. The PGA Sanctioned Barbados Golf Club is also nearby, which offers complimentary daily rounds to the hotel guests. The hotel is also nearby to St. Lawrence Gap, Oistin’s famous Fish Market and Bridgetown’s cultural sights. Turtle Beach is 10km from the Grantley Adams International Airport, which supports the entire island. 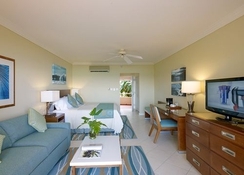 The Turtle Beach by Elegant Hotels has rooms and suites that sleep between 2 and 6 guests. 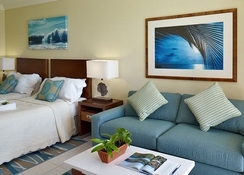 Guests can choose between a selection of Junior Suites and One-Bedroom Suites - with Pool/Garden View, Ocean View, Deluxe Ocean View and Ocean Front. The rooms are bright and elegantly decorated. 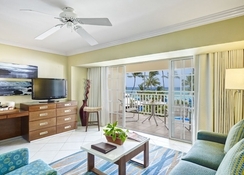 Amenities include a private bathroom with a shower, a seating area with a cable TV and a fridge. They have double and single beds to meet the accommodation needs of guests and provide air-conditioning too. You’ll be blown away by the gastronomic delights at Turtle Beach. With five restaurants and bars offering International, Asian and local cuisine, you’ll be spoilt for choice when it comes to picking a venue. Whether you want fine-dining or a casual bite by the sand, Turtle Beach has it covered with venues including a waterfront restaurant, private dining, beachfront snacks and international cuisine. The hotel also offers a dining package for around 30 restaurants in the area, if you want a taste of local culture. Turtle Beach offers two outdoor swimming pools, a whirlpool, children’s pool, plus an abundance of exciting watersports on the nearby white-sand beach – the hotel’s in-house intructor teaches kayaking, snorkelling and more! If you’re into golf, the PGA Sanctioned Barbados Golf Club will be a popular spot next to the resort, with free golf sessions available. Ask at reception for activities, excursions and tours in the local area if you want to explore more of this Caribbean island.